Gehrels Swift Observatory, when the object emitted a burst of X-rays. 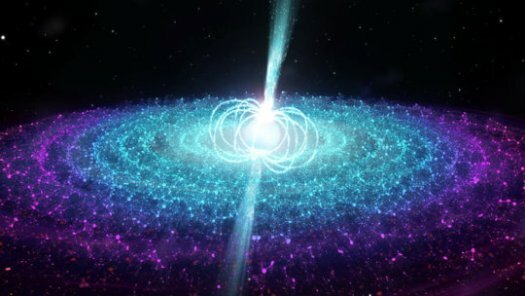 The object is a slowly-spinning neutron star pulling material from a companion star that is likely significantly more massive than the Sun. The VLA observations began a week after the Swift discovery and continued until January 2018.